The beginning of May conjures images of beautiful horses, big hats, and mint juleps. That’s right: it’s time for the Kentucky Derby! This year, as the Derby celebrates its 140th running, the race promises to be even more exciting. With award-winning horses like California Chrome, Wicked Strong, Vicar’s In Trouble, Dance With Fate, Ring Weekend, General A Rod and Social Inclusion expected to be in the field this year, the race itself promises to be one of high class and high stakes. 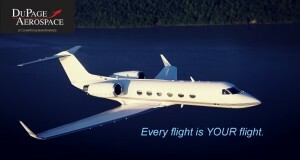 Racing fans can make their experience unforgettable by hiring a private jet to shuttle them to Louisville. Private jets are an easy, fun, and most importantly the ultimate hassle-free way to arrive at the Run for the Roses in style. If you’re looking to add a touch of luxury to your Derby experience, look no further than the private jet rental. Instead of being at the whim of a major national airport or having to deal with the inevitable crowded airport terminals, skip the lines. No need to search for hard to obtain seats on completely overbooked and crowded commercial flights when private charter jets fly on your schedule. Kentucky Derby private charter flights also offer the opportunity to get the party started from the start of the trip until you arrive home. Whether it be studying the daily race form and planning your day’s betting strategy on a quiet flight or hosting your very own southern style, Derby themed party in the sky, private jet charter offers endless opportunities. At the event itself, attendees can experience the traditions that make the Kentucky Derby the sporting and social event of the year. The hallowed grounds of Churchill Downs retain the gorgeous architecture and twin spires that have become iconic since the track opened in 1874. Mint juleps, the official drink of the race, endlessly flow from bottle to glass as women parade around the grounds with the most vibrant and creative hats this side of the Atlantic. The smells of southern comfort food promise for a grand culinary experience ranging from BBQ staples, to Kentucky-local cuisines like cheesy shrimp grits to bourbon glazed short ribs. The race, dubbed the “fastest two minutes in sports,” begins with a rousing, touching singalong of “My Old Kentucky Home.” Once the winner has crossed the line, the race ends with the presentation of the race’s other signature: a rose garland placed around the neck of the winning horse as the post-race celebrations begin. While the race itself is the main event, Derby organizers pack the weekend with events, socials, and galas to keep even the most discerning Derby watcher entertained. One of the biggest, a black tie gala (Barnstable Brown Party) that draws celebrities from all walks, benefits diabetes and obesity research. There’s also the Taste of the Derby, the Unbridled Eve Gala, the Julep, and, new this year, the Fillies and Lillies post-race party, hosted by country music legend Wynonna Judd. There’s plenty to do in outside the big event, too. The Belle of Louisville, the oldest river steamboat in operation today (now in its 100th year!) offers lunch and dinner cruises, sightseeing tours, and can even be hired for 2- or 3-hour charters. In addition, whiskey lovers will enjoy the Evan Williams Bourbon Experience at the Heaven Hill Distilleries, which includes a history of bourbon distilling and tastings of some of the finest bourbon in Kentucky. Hiring a private jet charter is an excellent way to turn your Derby experience into a luxurious one, giving you schedule flexibility while ensuring that you make it in time to hear the bugle sound. It also can help you avoid the congestion of major airports, giving you a stress-free trip to see the ponies. Whether it’s your first time at the Derby or your 140th, don’t sweat the little details. Instead, let a private jet take care of getting you there, so you can sit in your Churchill Downs private box sipping a mint julep and eating a bowl of burgoo without a care in the world (beyond rooting on your favorite horse). Contact the impeccable team at DuPage Aerospace – Private Jet Charter to make the 140th Kentucky Derby trip the best one yet. Reach us at 630-513-2222 for your travel consultation for the Kentucky Derby or any other truly “bucket list” events.